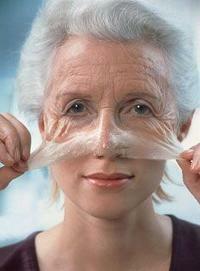 From our 30s onward, age starts to take its toll on our skin. Color and texture become less vibrant, wrinkles and sagging start to occur, pores enlarge, capillaries break around the cheek and nose, and from our 40s age spots appear on hands and cheeks, forehead, and upper lip, thanks to sun exposure, pregnancy, and the Pill. However, there is plenty we can do to help our skin maintain the glow of youth into our 40s, 50s, and beyond. Promoting oxygen flow to the skin results in visibly better tone. Learn how to breathe deeply at yoga class. To maximize the effects, dine on antioxidant foods such as broccoli, spinach, plums, kale, and blackberries, which have a high oxygen radical absorbency capacity (ORAC). Build your diet around vitaminpacked fruit and vegetables. Vitamins A, C, and E are strongly antioxidant and lack of vitamin A shows in flaking skin. Vitamin C is anti-inflammatory and so is essential for healing, skin cell regeneration, and plumping. It works best with immunestimulating vitamin E, which encourages circulation to promote radiance. One study showed that when taken together vitamins C and E provide double the protection from UV rays and reduce intensity of sunburn. When you check food labels vitamin C may also be listed as ascorbic acid or L-ascorbic acid, and vitamin E as alphatocopherol or tocopherol. Dry skin makes wrinkles more obvious. The only natural relief from dry skin is ample hydration. Drink 4 pints (2 liters) of water daily to plump up skin, give hair gloss, flush out toxins, and help relieve headaches that can lead to frown lines. Older people who exercise regularly seem to have skin that heals more speedily when compared with the skin of sedentary people. Set yourself the target of 30 minutes of activity most days. Apply moisturizer and body oils to still damp skin immediately after showering or bathing. This seals in moisture and acts as a barrier to drying environmental conditions, such as wind and air conditioning. Research suggests that people with prematurely aged skin are deficient in essential fats, which moisturize skin from the inside, reduce inflammation, and enhance mood. Fill up on oily fish, such as mackerel and sardines, linseed (flaxseed), hemp and olive oil, avocados, nuts, and seeds. For maximum absorption, make nut, seed, and fruit oils the fats you choose for massage oils, body lotions, and intensive moisture treatments, too. Stress can bring on breakouts of pimples, a pallid complexion, puffy eyes, and etched-in frown lines. Nourish yourself with good food through stressful periods and by getting regular exercise. Try to incorporate a weekly yoga class into a busy schedule. If city pollutants stress your skin, build more protective antioxidant fruit and vegetables into your diet and use free-radical busting grapeseed oil and green tea on the skin. Smoking is the second most effective way to age skin after sun exposure. Research suggests the skin of smokers over 30 ages twice as fast as the skin of nonsmokers. Indeed, �smoker�s skin� is a diagnostic term used to denote a gray complexion, wrinkles, dilated pores, and failure to heal. Smoking constricts blood vessels, reducing oxygen and nutrient flow, produces a collagendestroying enzyme, and creates wrinkles as lips purse to inhale and eyes squint through smoke. Stop smoking. Sleep is necessary for regeneration and cell restoration. During sleeping hours growth hormones responsible for renewing and restoring skin, hair, and bones are secreted. Sleep loss shows first beneath the eyes and in a dulled complexion.